Based on his popular and addictive website ExtremePumpkins.com, Tom Nardone has created a full-color guide to pumpkin carving that's truly frightening. Featuring the website's signature Puking Pumpkin, and spanning everything from Drowning Pumpkin, Crime Scene Pumpkin, and Cannibal Pumpkin to Electrocuted Pumpkin and other never-before-seen designs, this gleefully gory guide is nothing short of a manifesto to take back Halloween from the cheerful, the cutesy, and the parent-sanctioned. For the egg-throwing, toilet tissue- streaming, window-soaping teenager in all of us, finally- a whole new way to celebrate October 31. 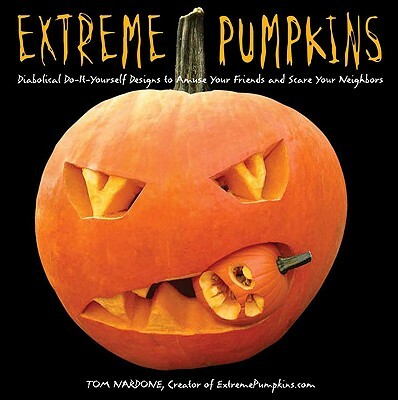 Tom Nardone is the creator of the popular website extremepumpkins.com. He lives in Michigan with his long-suffering wife and their three children, where he runs an internet company.